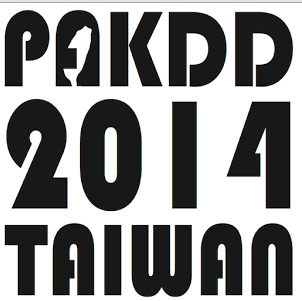 This post will continue my report of the PAKDD 2014 in Tainan (Taiwan). Another interesting talk at this conference was given by Jian Pei. The topic was Big Data. Some key ideas in this talk was that to make a technology useful, you have to make it small and invisible. A system relying on data mining may have to detect when a user needs a data mining service and provides the service as early as possible. Other desirable characteristics of a data mining system are that a user should be able to set preferences. Moreover, if a user interactively changes its preferences, results should be updated quickly. A data mining system should also be context aware. It was also mentionned that big data is always relative. Some papers in the 1970s were already talking about large data and recently some conference have even adopted the theme “extremely large databases”. But even if “big” is relative, since 2003 we record more data every few days in the world than everything that had been recorded before. In general, PAKDD was very-well organized. The organizers did a huge job. It is personally one of the best conference that I have attended in terms of organization. I was also able to met many interesting people from the field of data mining that I had not met before. The social activities and banquet were also nice. The deadline for paper submission is 3 October 2014 and notification is the 26 December 2014. Thank you for your shared information. I hope I have a chance to meet you in Ho Chi Minh City, Vietnam.